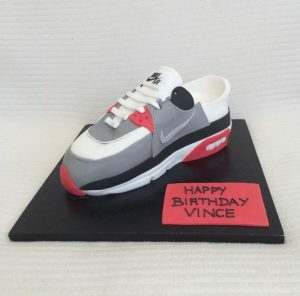 The perfect cake for any big kids. 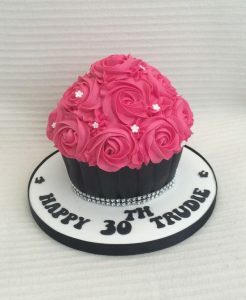 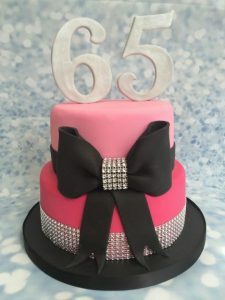 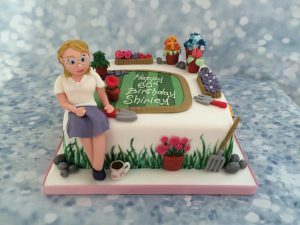 This cake is an 8″ round and tall 6″ round that has been carved to shape for the Lego head. 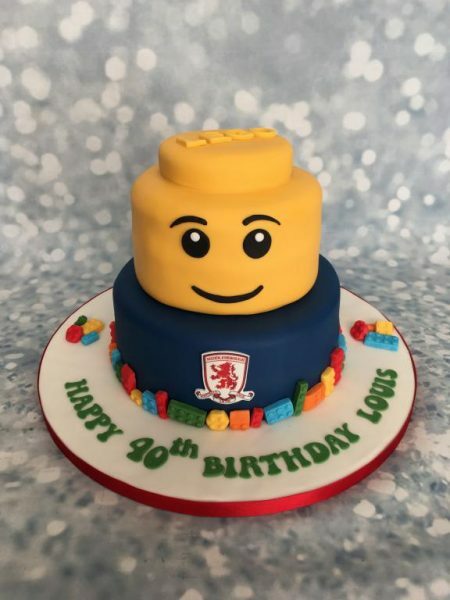 A selection of edible lego bricks have been handmade circle around the base of the cake and the birthday boys favourite football team badge has also been added.